Internal affairs has an obligation to investigate or review any allegation of employee misconduct that is a potential violation of the agency’s rules and regulations or which indicates that the employee is unable, unwilling or unfit to perform his or her duties. The obligation to investigate includes not only acts of misconduct that are alleged to have occurred while the subject officer was on-duty, but also acts of misconduct that are alleged to have occurred outside the employing agency’s jurisdiction. 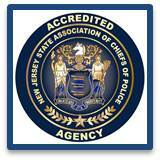 If someone would like to discuss any particular matter of police misconduct, we ask that they call the Chief’s Office at 732-536-0100 ext. 1460.